DEERFIELD, IL: Beam Global and its company Sauza Tequila are making the final stop with their photo exhibit in LA July 30. Launched in May, the effort promoting the 100 Anos brand to Mexican-American consumers is supported by AOR Ketchum. It created a photo exhibit called "100 Years of Mexican Music," which visited local malls in Houston and Chicago. The final stop is at LA's Plaza Mexico, where it will stay through September, also Mexican Independence Month. Ketchum is also leading a media outreach campaign, targeting Spanish-language titles and providing CDs of Mexican music. 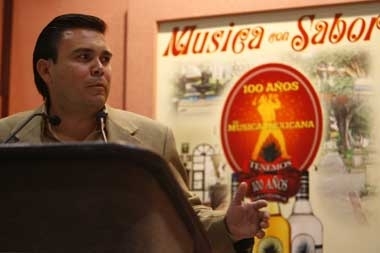 Bringing together the Mexican heritage, tequila, and music was a natural fit, said Antonio Portillo, the brand manager for Sauza. "The tequila and the music are important for Mexicans," he said. The 100 Anos brand was introduced to the US in 2005.